Introducing one of Australia’s recent marine botanical discoveries. Power your products with the latest marine actives from pristine marine ecosystems of Tasmania’s West Coast. NATIVE EXTRACTS’ innovation in CELLULAR EXTRACTION uses Biomimicry to deliver the first ‘True to Nature’ Native Seaweed-Tasmanian Kelp extract, delivering its full plant profile of water-soluble phyto-actives, as they exist in nature – potent, active, synergistic and bio-available. 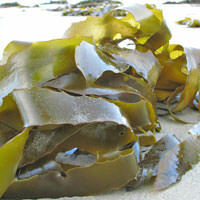 Cellular Extracts are naturally multi-functional and the Native Seaweed-Tasmanian Kelp offers an impressive range of phyto-compounds known to target wrinkles, inflammation, repair and several skin types. For the first time this species offers an abundance of exciting water-soluble bio-actives to create new points of difference in cosmetic ranges.